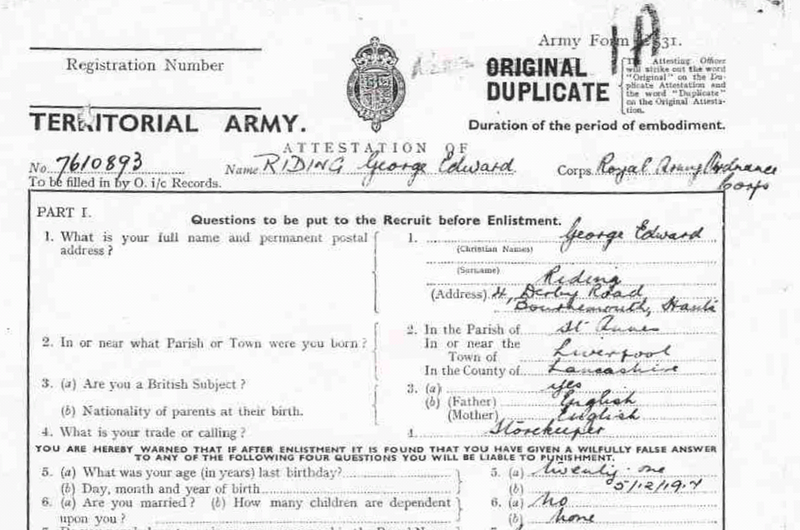 Two years ago I found my paternal grandfather in the 1939 Register, living at the Liverpool address my late father gave for his next of kin in his 1939 British Army enlistment papers. 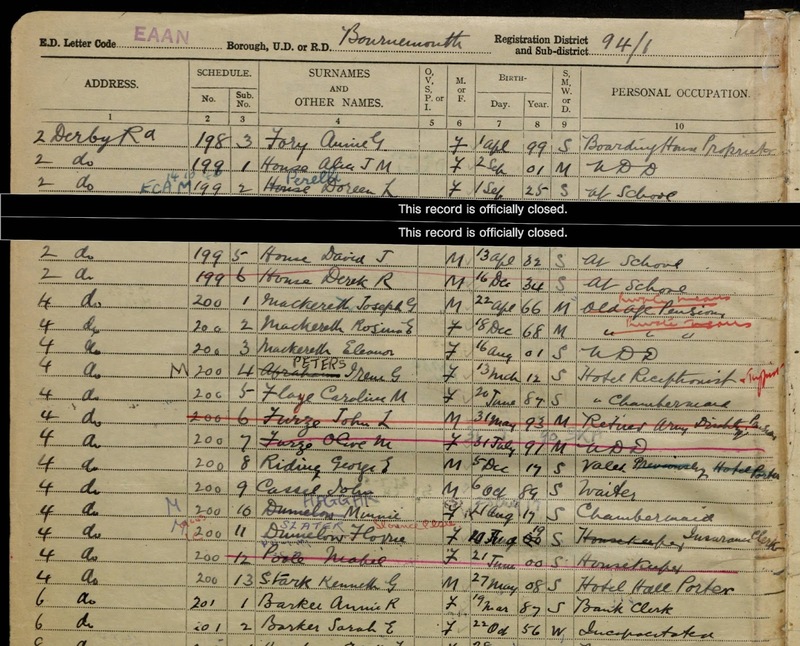 I knew I would have to wait another two years for my father's record to be opened, assuming he used the same 1917 date of birth in the register as in his enlistment papers two weeks later. And he did. The record was opened this month. 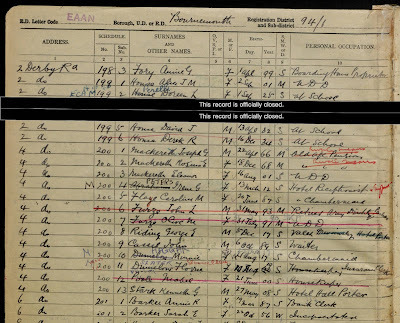 He was listed in the register as single and working as a valet (previously a hotel porter) at the same Bournemouth address (4 Derby Rd) he gave in his enlistment papers, which appears to have been a boarding house where various hotel staff and other boarders lived. A guest house at that address was later described as follows: "Ideally situated corner position convenient for railway station, sea and shops, overlooking putting greens". 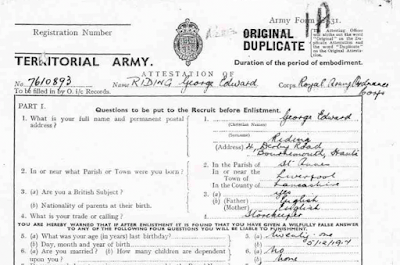 He was not a storekeeper as stated in his enlistment papers – it is possible he said that to increase his chances of being assigned to the ordnance corps. A valet in a British context appears to be a manservant who handles laundry and shines shoes for hotel guests. He was also only 17 years old, not 21.